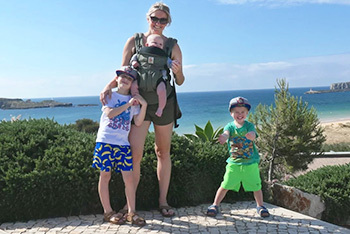 Our baby friendly holidays are designed to provide you and your baby/babies with everything you need to have a safe and relaxing time away from home. In particular, it means you will be staying in hand-picked, stylish, baby-safe accommodation that is kitted out with all the baby equipment and safety features you need – from high chairs and baby cots to stair gates, covered electrical switches and gated private swimming pools. Our baby friendly holidays abroad and in the UK have been hand-selected for their ability to cater for all your needs with a baby under one, without compromising on luxury. This means you can arrive, unpack and relax with complete peace of mind. Whether you’re choosing a villa, resort, chalet or apartment, you will be staying in accommodation that has been meticulously vetted for baby friendliness and suitability for both babies & parents. Every property has been personally visited by us, vetted with our 30-point safety check and be equipped with our FREE 20+ items of baby & toddler kit containing all the essentials so you can travel light. 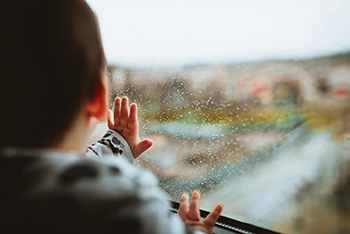 Here at Tots to Travel we know the true meaning of family friendliness, so you’re in the right place for a luxurious and stress-free baby holiday without compromising on the important things. Villa Maria Jacuzzi, Costa Adeje, Canary Is. When you book baby friendly holidays with us, whether in a villa, apartment or resort, you can be sure that you’ll be staying in accommodation where families with infants are not only welcome but are properly catered for. This means you can spend more time relaxing as a family rather than feeling stressed about being away from the security, safety and convenience of home. It also means you won’t have to worry about upsetting other guests if your baby cries or needs a nappy change or a feed because you’ll be in a friendly and welcoming environment where you’ll be with like-minded families. 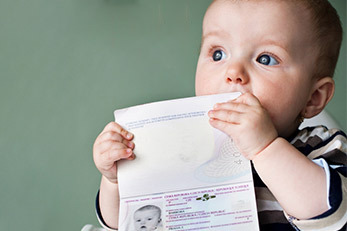 Booking an overseas or UK holiday with your baby through Tots will give you that all important peace of mind. This is because all the kit and equipment which you rely on at home to make life easier, will be available in plentiful supply. High chairs, sterilisers, baby monitors, baby changing mats, blackout blinds and so much more are all the details that are covered by Tots to ensure you can make the most of your precious time as a family. What Makes our Accommodation Baby Friendly? Only when resorts, villas, apartments and gites tick these boxes are we satisfied that they are properly suitable for families with babies, all you need to think about is which accommodation and destination you like the look of the most, making the search for your next baby friendly holiday so much easier than it’s ever been before.